Nothing says love like gorgeous red roses and white lilies, and when they're combined with sweet daisies and red carnations in our distinctive Rosy Remembrance Heart Wreath™, everyone will know just how special her memory is. For the woman or girl who stole everyone's heart, this striking floral arrangement says what words can't. Perfect for a wake or church service. 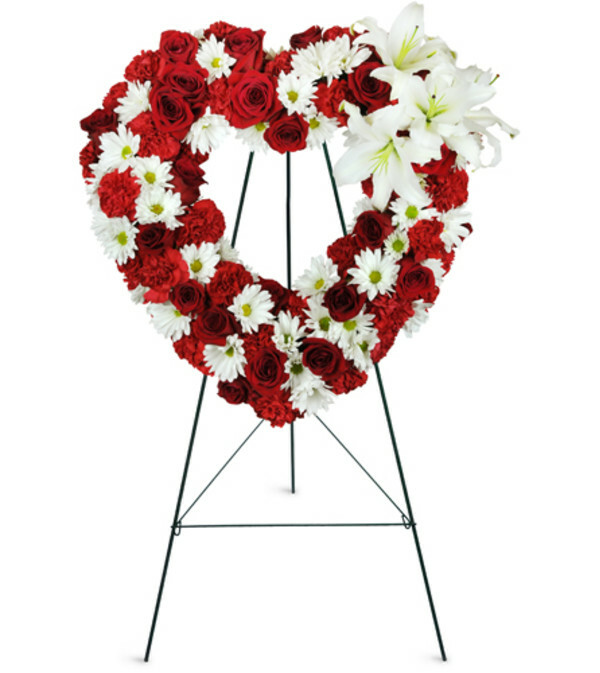 Beautiful red rose blooms, white lilies, white daisies and red carnations are arranged with greens in a classic heart-shaped funeral wreath. Excellent customer service! 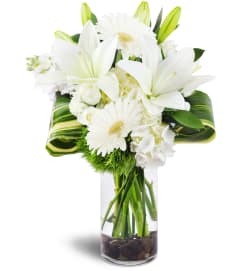 The flowers I ordered were not available for same-day delivery, and I was called and notified within minutes of placing my order. We worked a different arrangement out and the flowers were delivered promptly, about 4-5 hours after placing my order. Very satisfied, and the arrangement turned out beautifully. Arrived on time and look good. 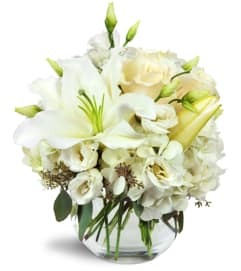 D & K Gift and Flower Shop is a Lovingly Florist in Hephzibah. Buying local matters. Discover how Lovingly supports local florists. Copyrighted images herein are used with permission by D & K Gift and Flower Shop.